This pleated Elizabethan styled collar is most dramatic when the longer pleat is worn close to the face. For a more demure look wear the shorter pleats around the face. 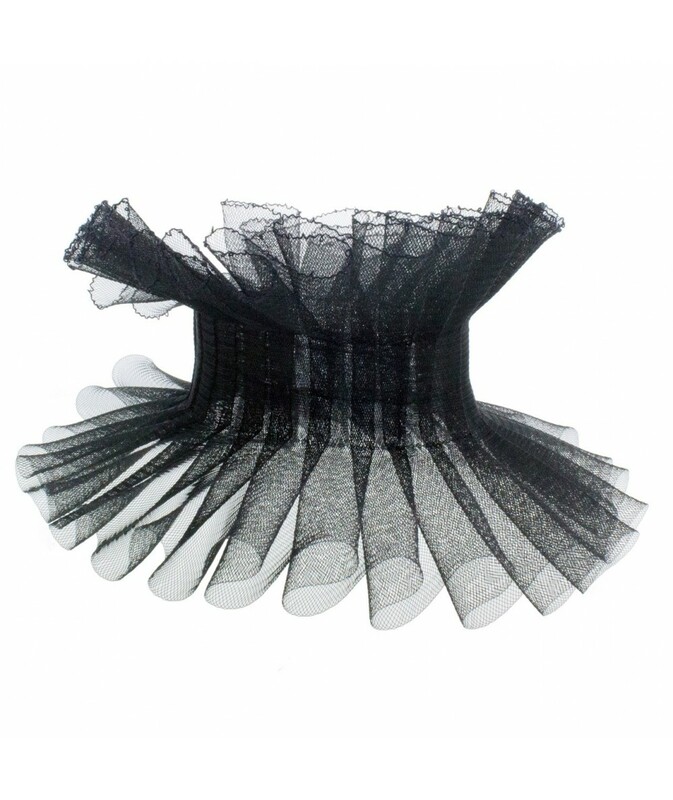 Adjustable and comfortable, it is made of a soft synthetic transparent millinery braid.